Druzy Pears! Inc; Purple, Green, Pink & Blue Colour Coated Druzy Quartz! 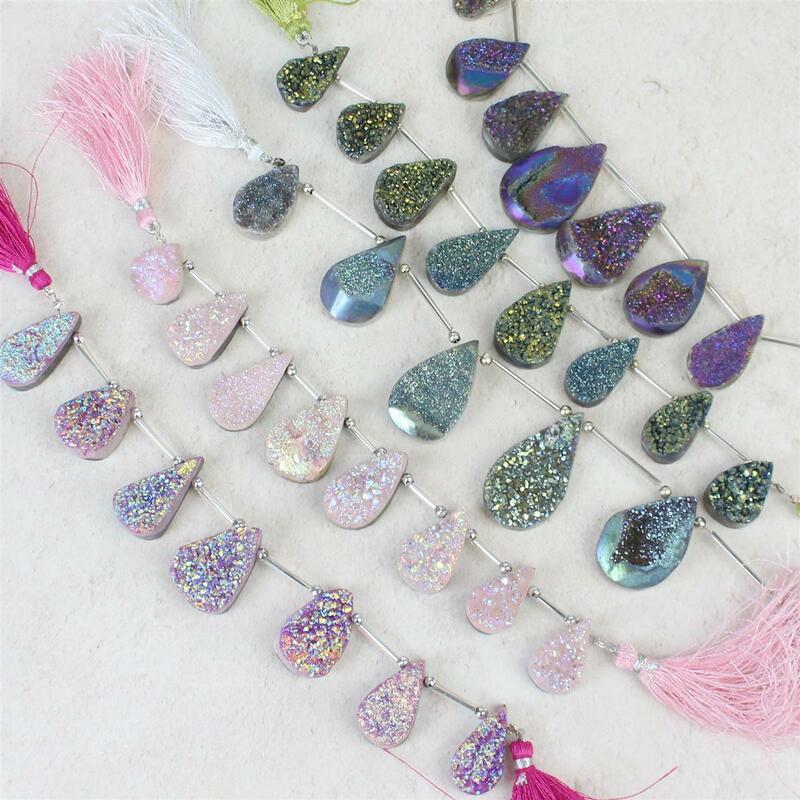 This amazing bundle includes: 168cts Purple Colour Coated Druzy Quartz Graduated Top Drilled Pears Approx 20x10 to 24x14mm, 12cm Strand. 172cts Olive Green Colour Coated Druzy Quartz Graduated Top Drilled Pears Approx 16x10 to 24x14mm, 14cm Strand. 168cts Purple Colour Coated Druzy Quartz Graduated Top Drilled Pears Approx 20x11 to 24x15mm, 14cm Strand. 172cts Greenish Blue Colour Coated Druzy Quartz Graduated Top Drilled Pears Approx 21x14 to 31x18mm, 16cm Strand. 168cts Pink Colour Coated Druzy Quartz Graduated Top Drilled Pears Approx 18x10 to 25x15mm, 14cm Strand.